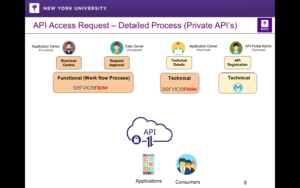 API workflow process typically starts at the requirement for data and search for API provisioning the required data. API Developers website has list of A-Z APIs with functionality of each API. User can navigate to the required API and visit the details page to find the functionality of the API. 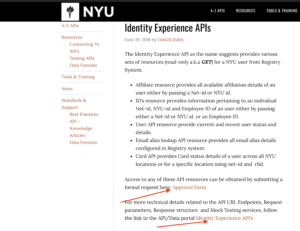 The page also provides the link to request access to the API and a link to the technical details of the API. 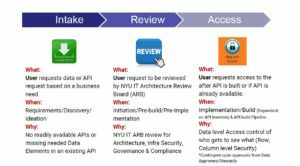 The link to request access will be available only to the APIs which are ready and available to use. 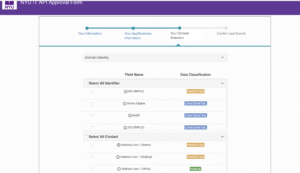 Starts with choosing the API and clicking the Approval Form link from the API details page. 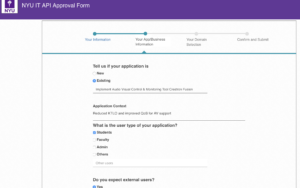 Complete all sections of the form by providing user, application, required data details and submit the form. Once submitted the request will be sent to Data stewards for approval. The data stewards review the form and provide their decision of Approve or Reject. Technical access provisioning is detailed in Register An Application (Technical Workflow) of Developer portal.